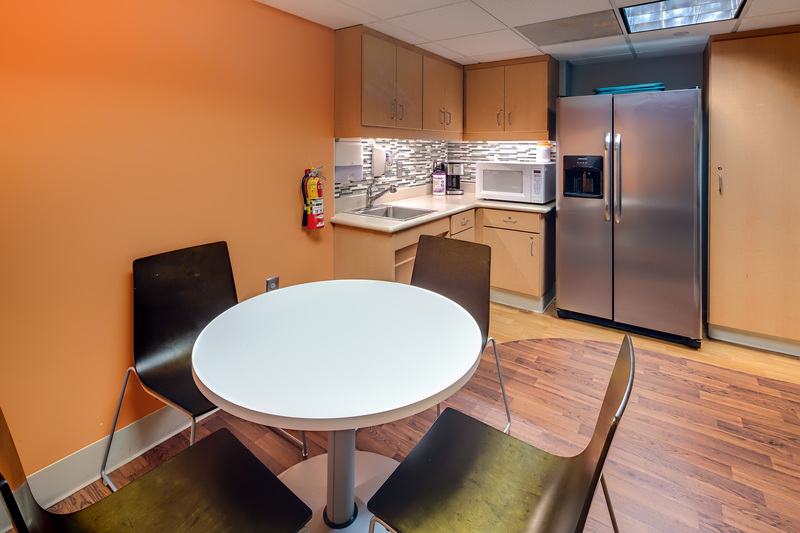 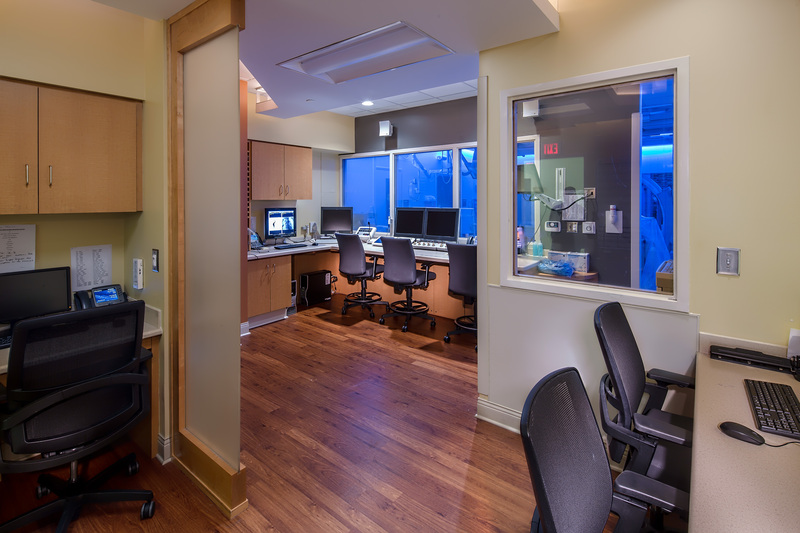 This Renovation involved upgrading the Imaging Equipment and specialty lighting in the Cath Lab and updating the finishes throughout the rest of the Suite. 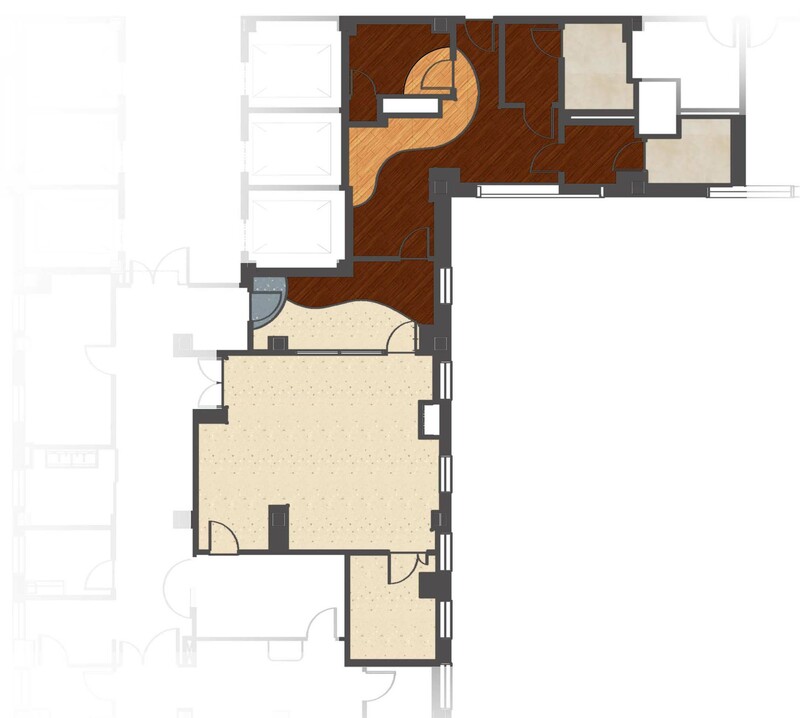 Rooms affected include the Lab, Control Room, Lounge, Locker Rooms, Restrooms, and Offices. 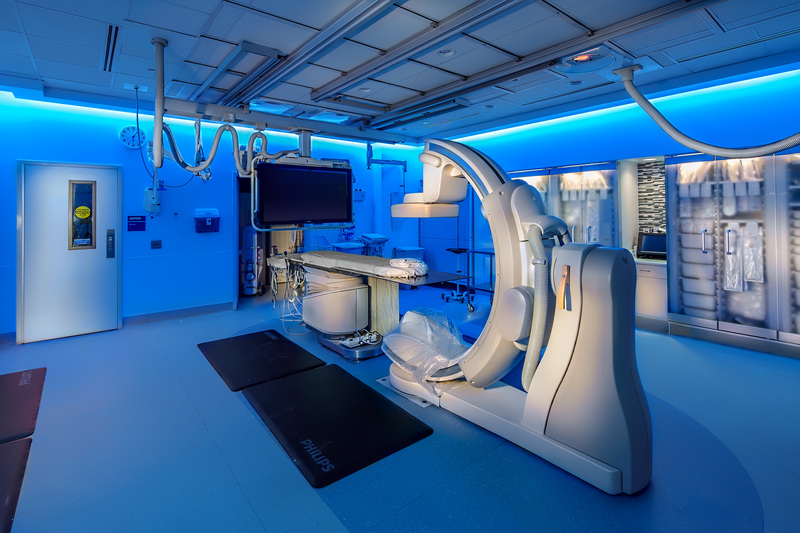 Color-changing LED cove lighting was used to calm patients during examinations.